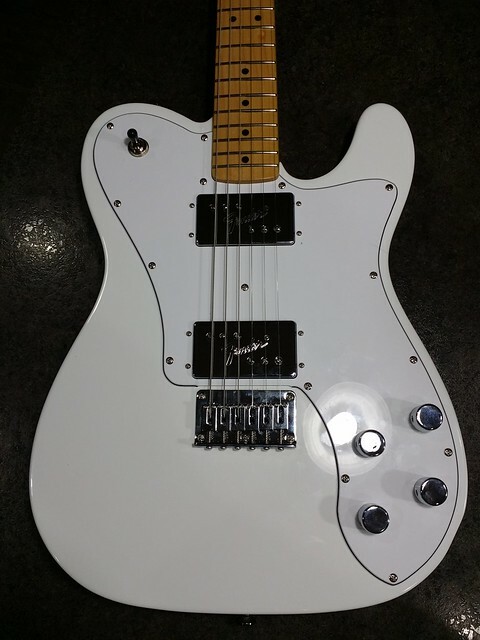 This was the guitar I was having issues getting set up right for delivery. There are a ton of them new, so I was trying to make sure good frets and finish. This is my replacement for the one that was sent with neck pocket cracks. This one has some minor issues as well, but they were things I had no issue working on. (They were sort of things I planned on replacing anyways.) 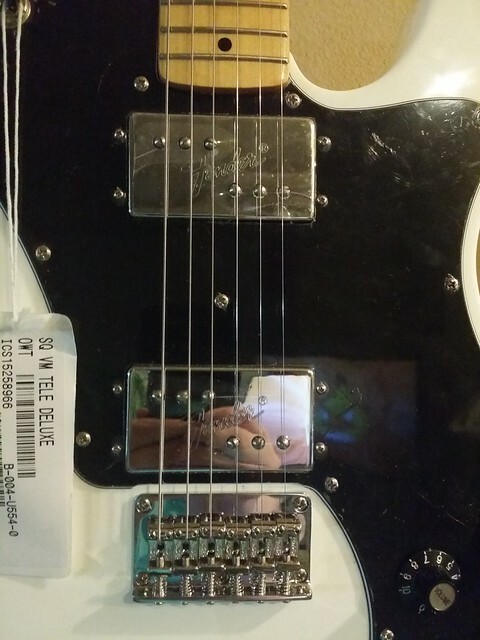 Plastic is still on the guard and pickups so they look kind of strange in the pics. It has some small spots of black paint on it. Pin size dots of black on the body and some black marks on the neck. I was able to rub the black off of the body. The neck not so much, but it is minor and not easily notices. The neck was a little crooked. To help it straighten out, I put a piece of paper in the lower left corner of the neck between the neck and body to help keep it turned the little bit to be more straight. Not a major issue. Normally I would loosen the strings and neck screws to straighten, but it kept going back to the slightly off spot. The paper has helped it keep where I want it. The bridge saddles are a little crooked. After researching, it sounds like these guitars are made using stamped saddles that are a little too wide for the spacing. I ordered a set of narrow spaced saddles for it to help them sit more straight. The strings don't pass over the poles exactly. 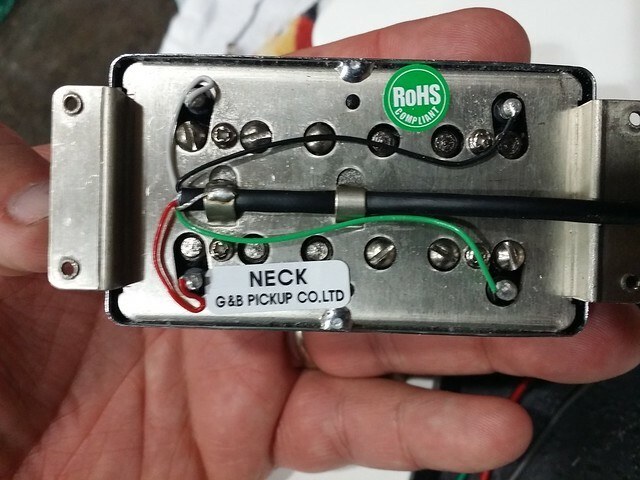 With the neck pickup, the two E strings are on the inner side of the screws. 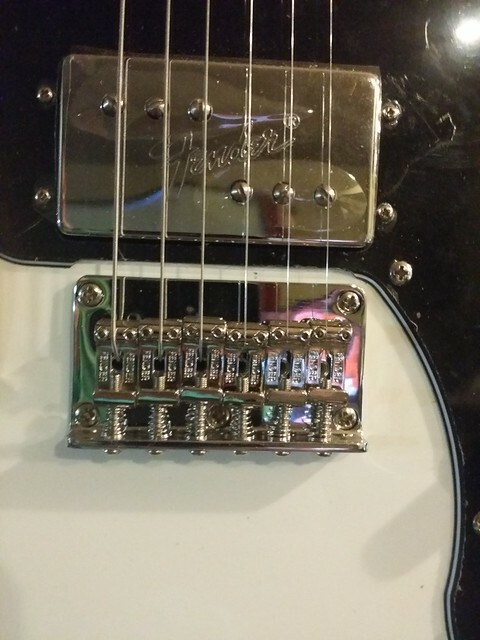 The bridge pickup's low E pole is outside of string. The guitar sounds good, so it just looks kind of odd. 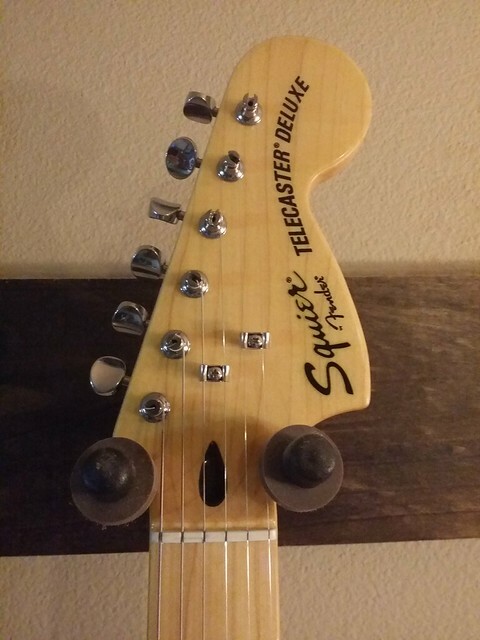 From what I have read about the Squier necks, they seem to stay narrow the full length of the neck instead of getting much wider where it mounts to the body. I have had some string slip over the edge a little, but it still has the thin stock strings. I think when I put 10's or 11's on it, that should help due to the increased tension. I think the narrow neck causes the weird pole alignment. Since it sounds good, I don't really care about that. Could be also that this black guard's pickup holes are a little off center? I am looking in to having a white/black/white guard for it, so also not a huge deal to me. I am going to put a nicer set of pots in it and a new switch since I am changing out the guard. All that stuff isn't too expensive and should help it quite a bit. The neck feels great. Frets are great. No sprouts or dead spots that I have found. It has some weird grain on it that I kind of like. 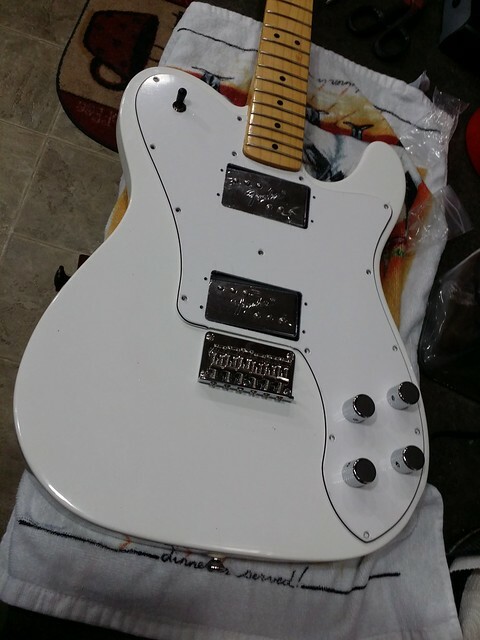 I am going to put flat top telecaster knobs on it for the new solid shaft pots. I am not positive what pot values it has at the moment. It should have 1meg to be like the originals, but I am guessing 500K or maybe lower. 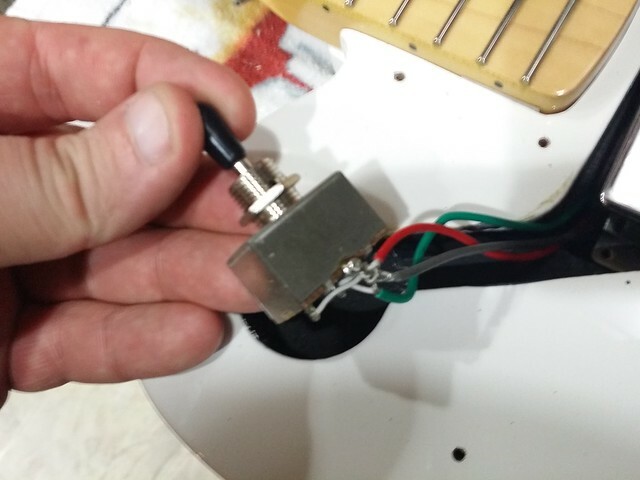 The neck pickup is very bassy so it leads me to think the pots might not be right. I will use new ceramic capacitors as well. The Kluson like tuners work well and seem installed well. The finis isn't flawless or anything, but very nice for the price of the guitar. Once parts come in, I will add updates. 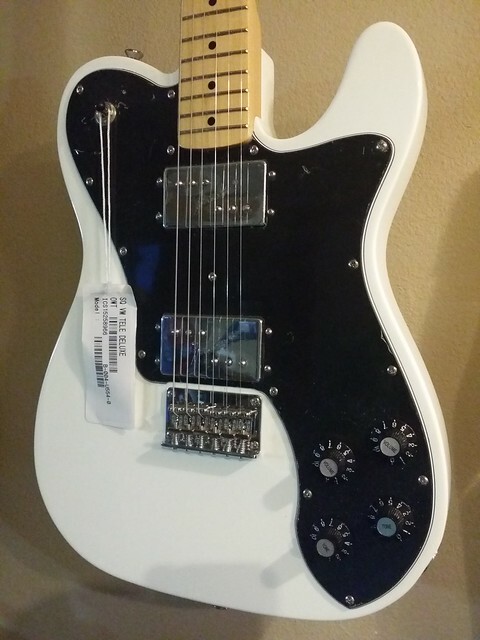 every time i buy a tele it ends up being sold.. i gotta stop that. I think I have done the opposite. I still have my Tele's. LOL. I wonder if that says something considering how many other guitars I have that come and go. Never really thought of that until you mentioned your tendancy. Re: crooked saddles....in the pic it looks like they're all leaning the same direction. I would think if they were too wide for the bridge they would flare out in both directions. 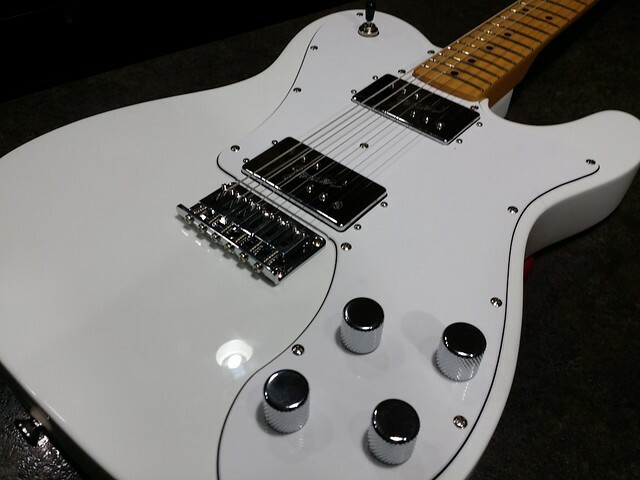 Either way cool guitar, with the VM compared to CV series I find there's usually more setup required out of the box but it should be a good platform to make it your own. 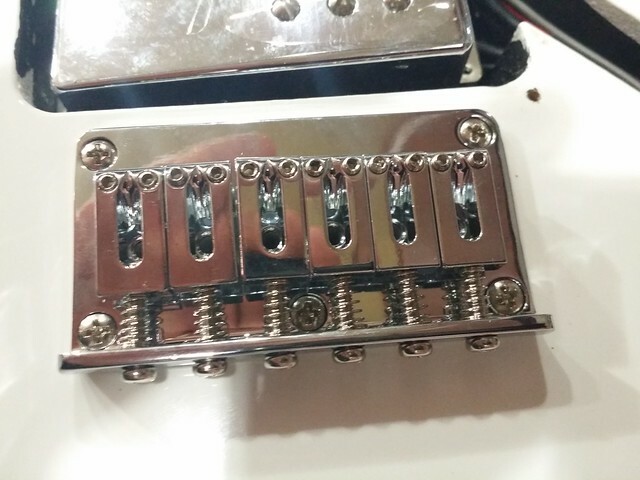 Interesting to see so many stamped fender parts on a squier too lol. I think they are that way because the thicker strings on the left have more tension than the thinner ones so those get pushed over? Dunno. Not a horrible issue, but one I should be able to fix. 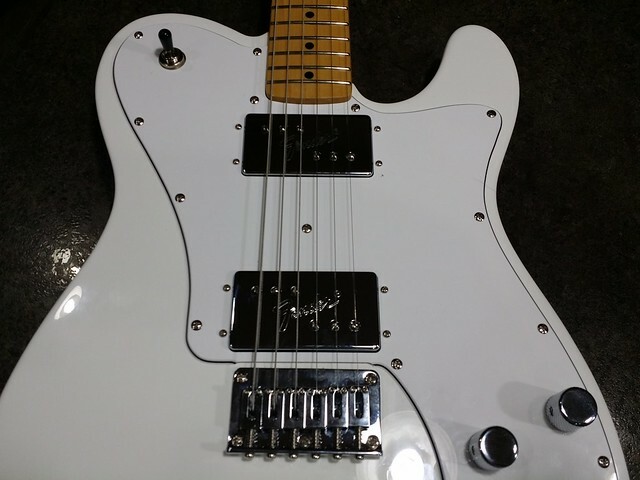 My flat top chrome tele knobs arrived and my new narrow bridge saddles. 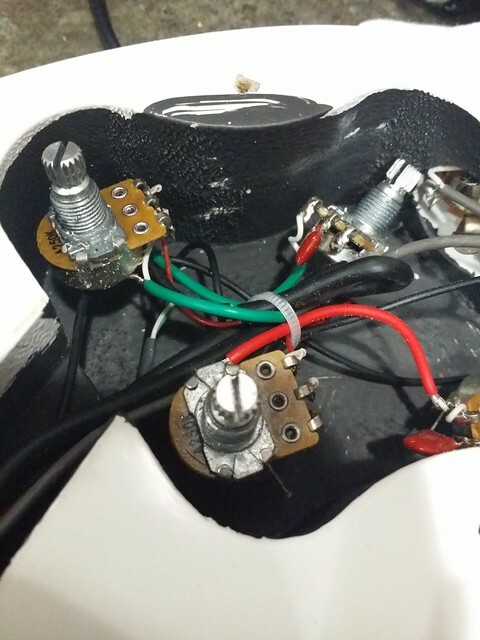 Once my new 1meg pots, toggle, and pickguard arrives, it will get a major face-lift. Opened it up and it has 250k pots stock and one of those box toggles. I am swapping that out for switchcraft and 1meg pots. Should change the sound drastically so I made an audio demo before taking it apart. Bottom of the stock pickups. 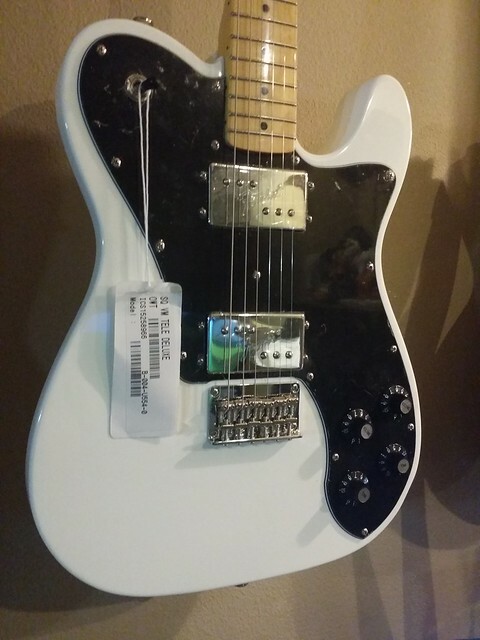 New pickguard and new knobs just to see how it will kind of look. Aside from straplocks, it is all done! 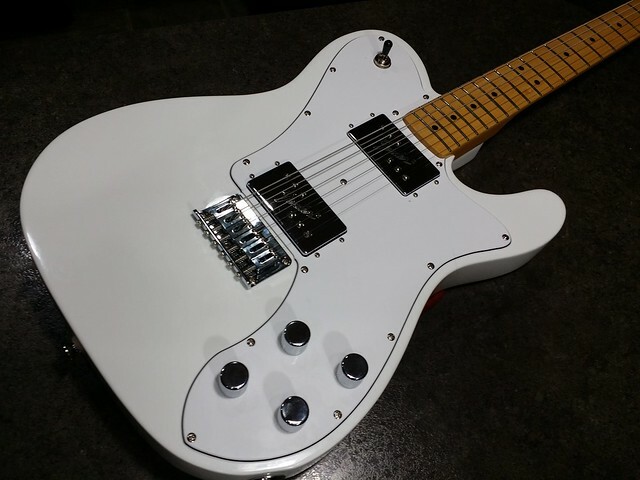 New 1meg CTS pots, new narrow bridge saddles, new toggle, new ceramic capacitors, new pickguard, and new barrel knobs. The change from 250k to 1meg is HUGE. I like it much more. 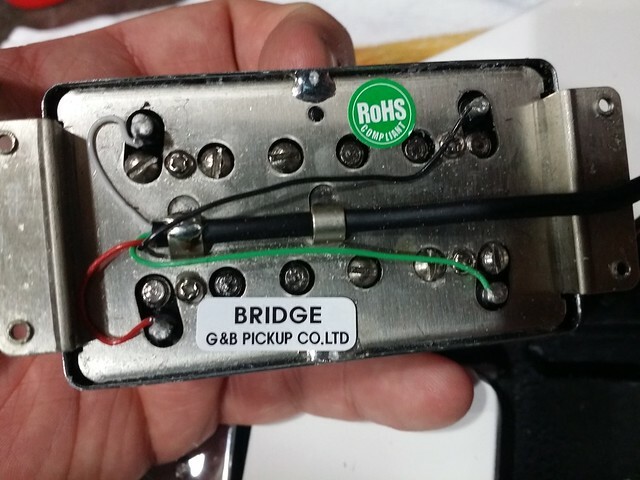 Neck pickup isn't muddy now and the bridge is all bright and jangly. I will do a demo after kids are in bed in a minute.